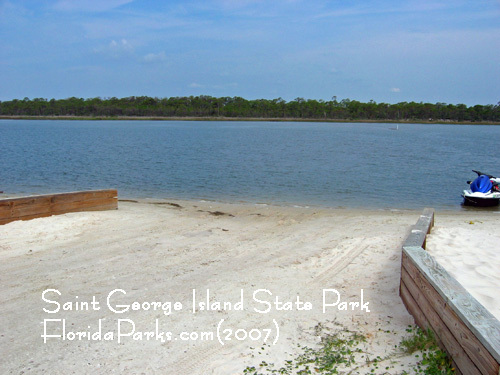 Nine miles of undeveloped beaches and dunes, surrounded by the Gulf of Mexico and Apalachicola Bay, provide the perfect setting for St. George Island State Park. 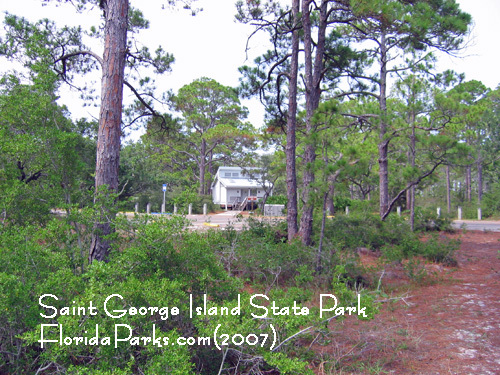 Access to St. George Island is via a 4 mile bridge that is accessible from Eastpoint, Florida. Eastpoint is located approximately 75 miles southwest of Tallahassee, Florida. 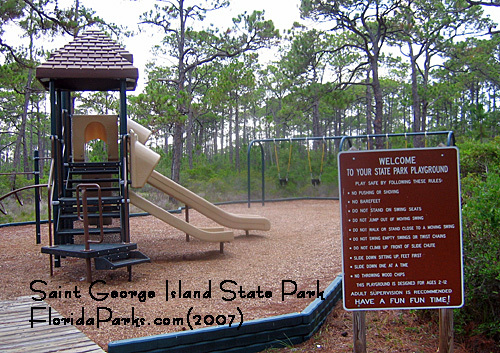 The park is located on the east end of St. George Island. 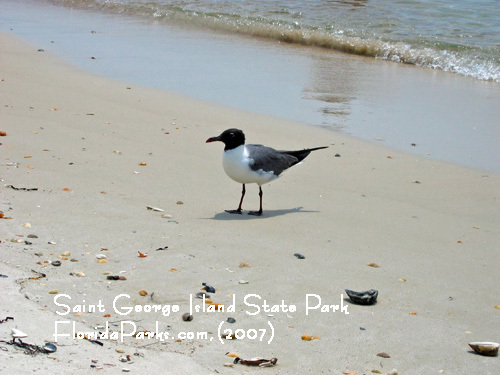 St. George Island offers 8 miles of some of the most pristine beaches along the Gulf coast of Florida. Visitors can access 4 miles of beach along the parks main drive. For those visitors who enjoy a wilderness experience, the last 4 miles of beach is accessible only by foot. There are two boat ramps that visitors can use to access the Apalachicola Bay. The first ramp is located next to the park’s youth camp and the other is 2 ½ miles from the parks entrance. Both can accommodate boats not much larger than 24 feet in length with a shallow draft. Canoeing and kayaking are favorite activities around the park. Both can be rented on the Island, call the park for more information. Small offshore boats are used around the island for fishing. Keep in mind that the bay is very shallow. Surf and bay fishing may yield catches of flounder, redfish, sea trout, pompano, whiting or sometimes Spanish mackerel. A saltwater fishing license is required in Florida. 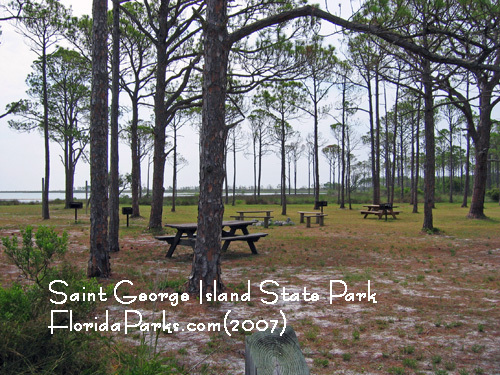 This 1,962 acre barrier island park has 60 campsites with electric and water hookups available for reservation through Reserve America. 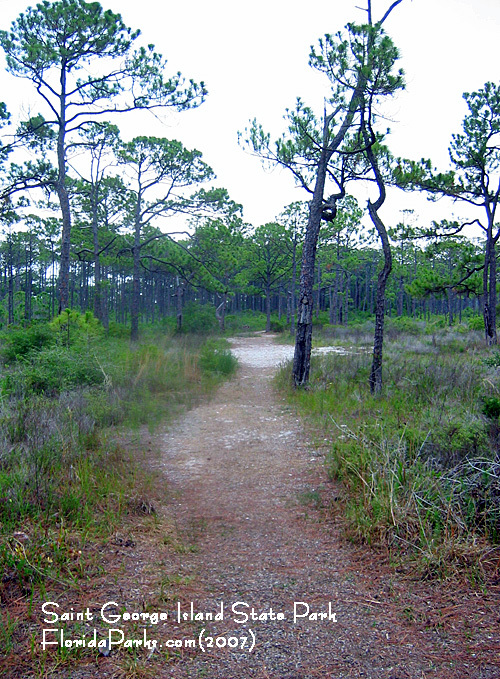 The trail to Gap Point begins in the campground and meanders through the pine flatwood forest to the bay. 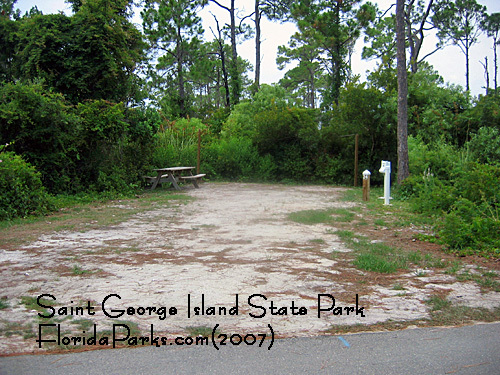 The park offers 4 large shelters on the beach equipped with restrooms and showers. Each shelter has grills for cooking and several picnic tables for visitors. These shelters can also be reserved. Call the park for more information. Primitive campsites at Gap Point are available via a 2-½ mile backpacking trail. This area is also accessible by boat. Showering facilities are available in the family campground. The park also offers cold-water showers at two beach access areas. Ask staff for their locations. Swimming and sunbathing are popular activities on the white sandy beaches and clear Gulf waters. NO LIFEGUARDS ARE PROVIDED. Youth Group camping is available to organized groups of up to 25 or a minimum of 6 persons. This is a tents only area. Chaperones must be provided for youth groups and must remain with the group at all times. Restrooms, cold water showers, picnic tables and a campfire circle are available. Reservations for the Youth Camp may be made up to 11 months in advance by contacting the park office at (850) 927-2111.